Eugenio Barba is one of Europe's leading theatre directors, at the forefront of experimental and group theatre for more than twenty years. 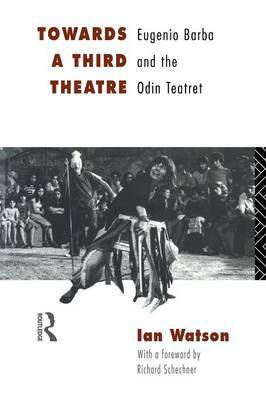 Ian Watson provides the most comprehensive and systematic study of Barba's work, including his training methods, dramaturgy, productions and theories, as well as his work at the International School of Theatre Anthropology. "Meticulously documented and presented in a balanced, careful style." ..."valuable for its detailed description of actors' work in Barba's productions...even-tempered scholarship generously rendered in the language of both practitioner and scholar...provides in-depth looks at one of twentieth century Europe's most influential theatre groups, a group which, by virtue of its isolation and limited touring grounds, most Americans will never see.."